به اطلاع مراجعین گرامی رسا نیده میشود که بخش قونسلی این سفارت بتاریخ های 23 و24 دسامبر 2015 تعطیل می باشد و همچنین سفارت از جمله بخش قونسلی بتاریخ های 25دسامبر، 31 دسامبر 2015 و اول جنوری 2016 تعطیل می باشد. Bitte beachten Sie, dass das Konsularabteilung am 23. und 24. Dezember GESCHLOSSEN bleibt. Bitte beachten Sie, dass die Botschaft und das Konsularabteilung am 25., 31. Dezember und 1 Jänner GESCHLOSSEN bleibt. H.E. Mrs. Salamat Azimi, Minister of Counter Narcotics of Afghanistan, along with Deputy Minister Baz Mohammad Ahmadi of the Ministry of Interior of Afghanistan and the delegation, attended several keys meetings in Vienna from December 14 – 18, 2015. On Monday, December 14, H.E. Minister Azimi and the delegation participated in the High-Level Meeting of Partners for Afghanistan and Neighboring Countries. The meeting was aimed at presenting strategic directives on counter narcotics efforts in Afghanistan and neighboring countries as well as perspectives from the region and international partners on how to further coordinate and strengthen such efforts in the future. Minister Azimi as co-chair of the meeting, delivered an opening statement focusing on the new National Drug Action Plan of Afghanistan. Other co-chairs were Mr. Yury Fedotov, UNODC Executive Director, and Mr. Nicholas Haysom, UN Special Representative of the Secretary General for Afghanistan and Head of UNAMA. H.E. Minister Azimi also had a short statement at the Closing Session of the High-level Meeting which was moderated by Mr. Hassan Soroosh, Counselor of the Permanent Mission of Afghanistan in Vienna. Another member of the delegation, Ms. Fareshta Sakhi, Director General of Border Affairs and Security Cooperation of MOFA read out the Concluding Statement on behalf of the co-chairs. From December 15 – 16, the delegation of Afghanistan attended the Paris Pact 12th Policy Consultative Group Meeting where H.E. Minister Azimi delivered an opening statement which included an overview of the efforts and achievements made in counter narcotics as well as the challenges that Afghanistan is facing in this area. Deputy Minister Ahmadi delivered a closing statement on the second and final day of the Paris Pact meeting on December 16 and provided a detailed overview of law enforcement measures related to counter narcotics and highlighted a number of key achievements and challenges along with concrete operational recommendations. Mr. Humayoun Faizzad, Director General of Provincial Affairs at the Ministry of Counter Narcotics of Afghanistan also had a presentation on the new National Drug Action Plan of Afghanistan. During the course of the week, bilateral meetings were held between the delegation of Afghanistan and the delegations of Germany, Iran, Turkey and the United States of America, where the prospects of counter narcotics efforts in Afghanistan including under the new Action Plan as well as ways to support these efforts at all bilateral, regional and international levels was discussed. The delegation also had a brief meeting with the chair of the UNGASS Board discussing the preparatory process as well as topics to be discussed during the Special Session in 2016. The delegation of Afghanistan also met with the UNODC Executive Director where the new Country Program for Afghanistan was signed. The visit was concluded with a meeting between the delegation of Afghanistan and the OSCE Secretary General Ambassador Zannier as an opportunity to discuss the prospect of the OSCE-Afghanistan partnership. Ms. Farishta Sakhi, the Director General for Border Affairs and Security Cooperation at the Ministry of Foreign Affairs of Afghanistan delivered a presentation at this week’s Security Committee of the OSCE. Ms. Sakhi discussed the implications of political and security transitions in Afghanistan and briefed participants about the reform agenda of the National Unity Government and shared her views regarding the latest developments concerning the Resolute Support Mission and the Government’s response to current and emerging security threats. The Director General also briefed the committee about renewed efforts toward peace and reconciliation, while highlighting the regional dimension of the security architecture. Ms. Sakhi highlighted the importance of Afghanistan’s collaboration with the OSCE for the past twelve years, including in the area of border affairs and security cooperation and shared her perspective of areas that can be further expanded under this partnership in view of the needs and priorities associated with the Decade of Transformation. Afghanistan has been an OSCE Partner for Co-operation since 2003. In closing, Ms. Sakhi thanked the OSCE and all donors for both implementation of the projects and programmes and generous contributions provided, and looked ahead to next year’s Warsaw NATO Summit as well as the international conference on Afghanistan in Brussels, to be held in July and October, respectively. 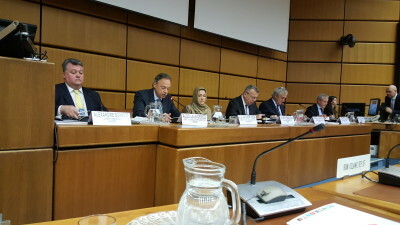 Ms. Sakhi visited Vienna as a member of a ministerial delegation attending high-level meetings at UNODC. I am pleased to attend this 4th Session of the IACA Assembly of Parties. On behalf of the Delegation of Afghanistan, I would like to congratulate you Madam President and other members of the Bureau on your election. I would also like to thank the Republic of Azerbaijan and the IACA leadership for the efforts and achievements over the past 12 months. We are encouraged by increased interest in the activities of IACA which can be exemplified by the growing number of parties joining the Academy over the past 4 years. In view of the ever-changing nature of corruption and its growing links with organized crime, narcotics and in some cases, terrorism, IACA’s holistic approach to corruption remains very relevant in our efforts to combat this menace. Corruption in its various forms continues to pose challenges to rule of law, governance, socio-economic development, security and stability of our societies. In Afghanistan, tackling the underlying drivers of corruption has remained a top priority in our national agenda over the past few years and our efforts in this important area range from institutional building to legislation and policy development. Afghanistan ratified the United Nations Convention against Corruption August 2008 and acceded to the Agreement for the Establishment of the International Anti-Corruption Academy as an International Organization in March 2013. Our recent efforts in the area of legislation include the enactment of the new Anti-Money Laundering and Proceeds of Crime Law and the new Law on Extradition as well as the modification and revision of various anti-corruption related laws and regulations including those pertaining to the provision of public services. In the area of institutional building, along with the establishment of the High Office of Anti-Corruptionmandated with a unifying oversight function to coordinate, supervise and support all anti-corruption efforts in Afghanistan, the Financial Intelligence Unit of Afghanistan, the Special Anti-Corruption Court and the Special Anti-Corruption Unit at the Office of the Attorney General have also been established. At the operational level, more than 2000 cases of corruption have been registered and investigated by the High Office of Anti-Corruption over the past five years. Considerable progress has also been made in the area of asset declaration by the high-ranking government officials.Over the past five years, 8000 asset declaration forms have been registered. Additionally, various anti-corruption public awareness programs have been implemented by the High Office of Anti-Corruption with support from the relevant government agencies as well as civil society institutions, private sector associations, academic communities, religious institutions, professional associations, youth and women’s groups. The newly established National Unity Government of Afghanistan is committed to further strengthening our efforts to build integrity and accountability and combat corruption.H.E. the President has stressed on many occasions that the government will show zero tolerance with regard to corruption. Under the new government, efforts are under way to further improve theexisting legal, policy and institutional frameworks for combating corruption. As highlighted in the Baku Declaration, anti-corruption education, professional training, technical assistance, andresearch are important components of successful anti-corruption strategies. In this context, Afghanistan will need long-term, sustainable, effective and demand-driven technical assistance and capacity-building support including under the High Office of Anti-Corruption. We, in particular, attach great significance to anti-corruption education and research. With reference to the Baku Declaration, let me state that Afghanistan would appreciate any support to initiatives designed to enhance our anti-corruption environment through education and training, at national, regional and international levels with a focus on the provision of scholarships for qualified candidates from our country. We highly value our engagement with IACA and have already benefited from various activities and opportunities available under the Academy. We hope that we will be able to further benefit from the academic programmes, standardized and tailor-made trainings, dialogue and networking, as well as train-the-trainers programmes. The Consular section will be closed on December 8, 2015. Bitte beachten Sie, dass das Konsularabteilung am 8. Dezember, 2015 geschlossen bleibt. 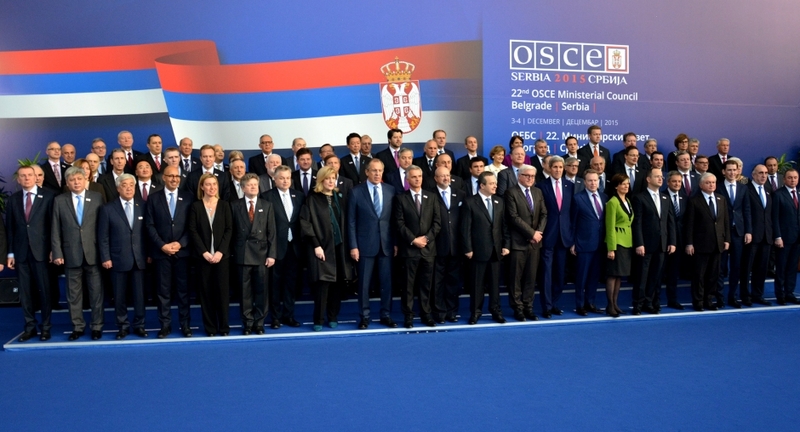 Deputy Minister of Foreign Affairs, Mr. Hekmat Khalil Karzai, attended the 22nd Meeting of the OSCE Ministerial Council in Belgrade from 3-4 December 2015. In his statement at the plenary, Deputy Minister Karzai shared an overview of the ongoing efforts and processes in Afghanistan as well as the Afghan perspective of the security challenges facing the country and the wider OSCE region. Deputy Minister Karzai highlighted the relevance of the OSCE’s vision and goals in today’s security environment. His statement also included an overview of Afghanistan’s regional cooperation agenda under the Heart of Asia Process and RECCA as well as Afghanistan’s engagement with the OSCE, focusing on areas of cooperation that can be further expanded in the future. Deputy Minister Karzai also had a statement at the Meeting of the OSCE Troika with the OSCE Asian Partners and shared the Afghan perspective of ways to strengthen partnership between the OSCE and the Asia Partners for Cooperation. In this context, he highlighted the importance of greater cooperation and coordination between the OSCE and the two Afghanistan-focused regional cooperation frameworks: the Istanbul-Heart of Asian Process and RECCA. During his two-day visit to Belgrade, Deputy Minister Karzai also had bilateral meetings with the heads of delegation of Norway, Thailand, Moldova, Mongolia, the OSCE Chairperson-in-Office, Foreign Minister and First Deputy Prime Minister of Serbia, where they discussed the prospects of bilateral relations and the need for exploring new areas of cooperation at a bilateral level. Also discussed during these meetings was the need for enhanced regional and international cooperation in addressing transnational security threats. Deputy Minister Karzai also had a meeting with the OSCE Secretary General and discussed with him various aspects of the OSCE’s engagement with Afghanistan and ways to expand the present partnership between the two parties. Deputy Minister Karzai expressed hope that engagement with Afghanistan will remain a key priority of the OSCE’s agenda in the coming years.